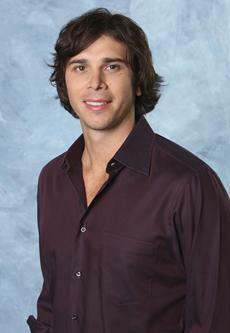 Benjamin Flajnik or more commonly referred to as Ben F. will become Season 16’s bachelor, making his debut on January 2nd 2012. Background: He has one sister and a Jack Russell Terrier (named Scotch). Ben F.’s father passed away four years ago causing Ben to become ’emotionally closed off’. In The Bachelor/ette world he has been labeled as a skeptic of The Bachelorette process. However, according to him The Bachelorette process (including being publicly dumped by Ashley) has helped him open up. Hmmm… we’ll see if the pain and heartbreak brought on by The Bachelorette has opened the way for new love. In case you missed it, Ben F. was the runner-up on this last season of The Bachelorette with Ashley Hebert. At The Bachelorette’s season finale, Ben got down on one knee to propose and was subsequently rejected. Ouch. Watch it all go down and relive that awkward moment here! How can someone so in love that he was ready to propose be ready to date and find someone again so soon? That is an excellent question. Well, we’ll see on January 2nd how and if this tall, quirky, winemaker finds love. I walked by Ben as they were filming in San Francisco. I am 5′ 11″ and he is shorter than I! Really?! Were they filming the date where they go skiing in bathing suits down the streets of SF?